Premium quality 7 oz. stainless steel flask. Never drink alone again. 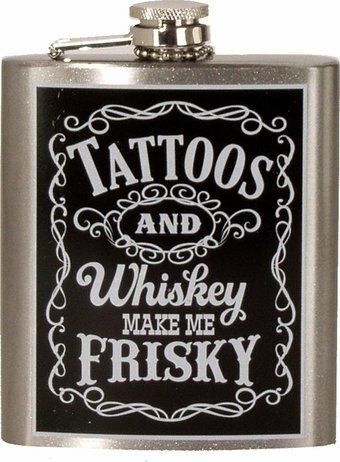 Share your spirited libations with your old boy Jack D. Premium quality stainless steel 7 ounce Hip Flask comes with funnel for easy filing. The screw on top is attached to the flask to prevent losing the cap. The curved shape makes it comfortable to slip into a pocket for taking along just about anywhere! Hand wash recommended.